The Grace Brethren Investment Foundation (GBIF) has recently approved new financing of $2.4 million towards the construction of a $5.1 million Early Childhood Center for the Grace Brethren Church of Columbus, Ohio, where Dave Plaster is the pastor. The new center (see photo at right) will consist of 23 classrooms, an indoor playroom space, administrative offices, a dining area, and relocation of an existing bookstore. “We are privileged at GBIF to be part of helping to win the “little ones” to Christ,” says Ken Seyfert, executive director of operations at GBIF. 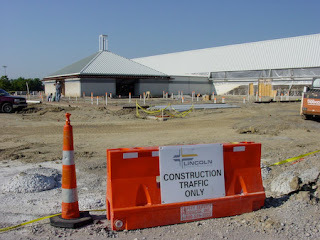 To see photos of the construction at Columbus, click here.